Say what you will about Walmart, according to the Fortune Global 500 list in 2016, it is undeniably the world’s largest retail company. 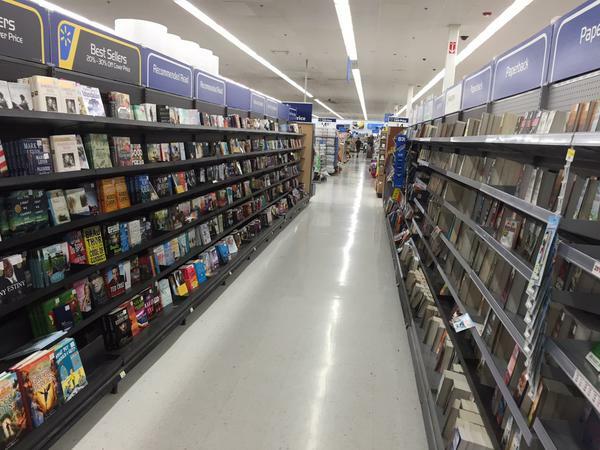 And now, I am pleased to report that the world’s largest retailer is currently offering all of my novels and short fiction collections, including Vampires Don’t Sparkle!, which benefits cancer research, to new and faithful readers alike via their website, Walmart.com. 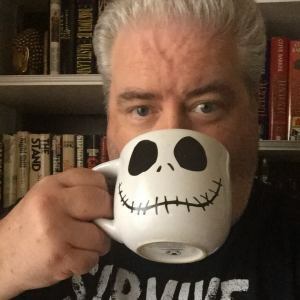 Michael West is the bestselling author of Cinema of Shadows, Spook House, The Wide Game, Skull Full of Kisses, and the critically-acclaimed Legacy of the Gods series. 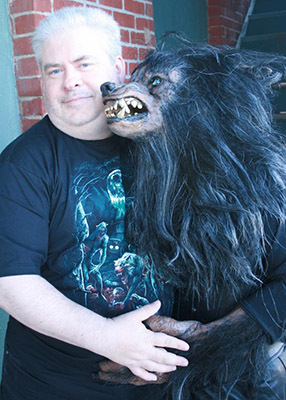 He lives and works in the Indianapolis area with his wife, their two children, their turtle, Gamera, and their dog, King Seesar. West displays many different skulls in his office. His favorites include a skull-shaped computer speaker and a human skull lamp that sits on his desk. 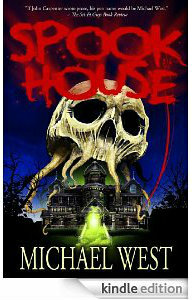 Spook House Haunts #1 Spot on Bestseller List! Bestselling author Michael West has another hit on his hands. 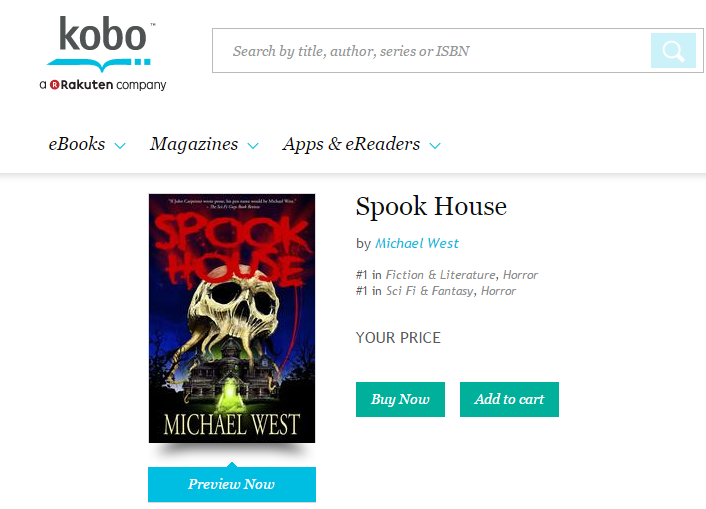 His third Harmony, Indiana novel for Seventh Star Press, Spook House, just became a #1 bestseller, topping the Horror charts for Kobo. 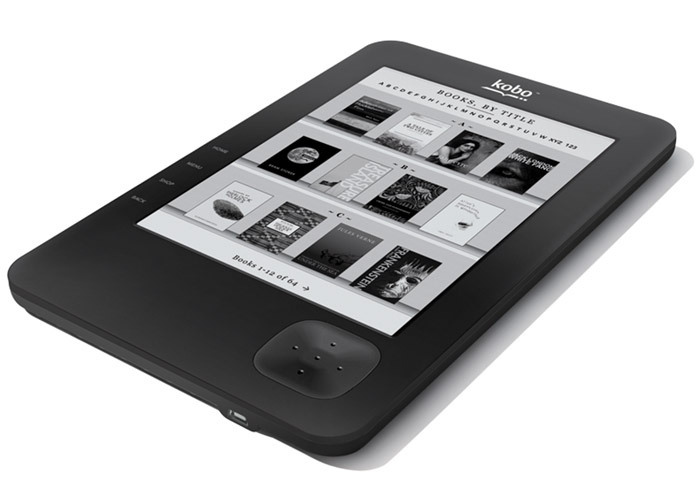 A global leader in eReading, Kobo delivers the best digital reading experience to millions of users in 190 countries, offering one of the world’s largest catalogs with millions of titles. 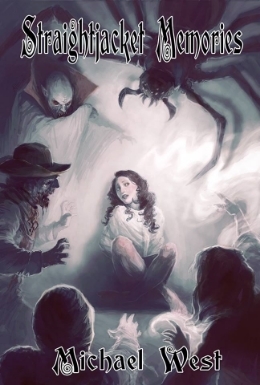 In Spook House, there are some places in this world that go far beyond any normal definition of “haunted.” These places are so evil, so diabolical, that they become gateways to Hell itself. The Fuller Farm is one such place. 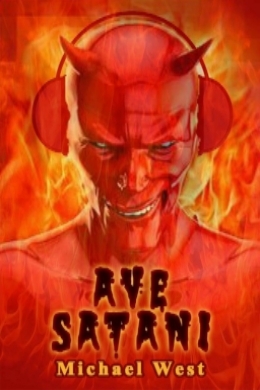 Indiebound, Seventh Star Press or your favorite book store. The Wide Game Is Legend! And get your very own copy of The Wide Game here! And pick up your very own copy of The Wide Game here! Hades’ Disciples Limited Edition Hardcover Now Available for Pre-Order! 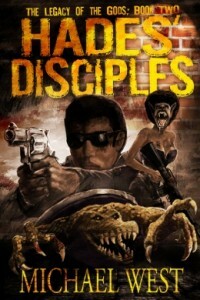 Seventh Star Press is proud to announce a special pre-order offer for Michael West’s Hades’ Disciples, the latest book in the Legacy of the Gods Series. 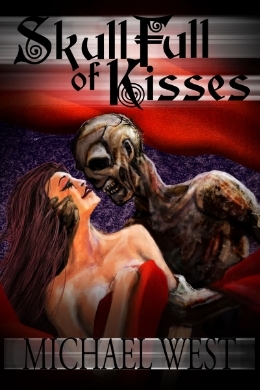 Synopsis of Hades’ Disciples: Terrifying creatures exist all around us, hiding in plain sight. Ancient. Deadly. They gather in secret, conspiring, dreaming of nothing less than humanity’s destruction, and their numbers are growing. Earl Preston knows the danger all too well. After tangling with a horde of mythological sea monsters in Colonial Bay, he has been tasked with finding these beasts and exposing their plans whatever they may be. But Earl is not the only one with a mystery on their hands. At the very top of the world, Carol Miyagi has stumbled onto an artifact from Earth’s past, something magnificent held captive in a prison of ice and snow. Now, Carol and Earl must work quickly to decipher the will of the gods–a plot that defies imagination–and to stop their followers from carrying it out. They thought the nightmare was over, but they are about to discover that the horror has only just begun. This special hardcover edition is limited to 75 copies, signed and numbered. The price for the limited edition hardcover is $36.95 plus shipping and handling, and includes the eBook version of Hades’ Disciples in both Mobi and ePub formats, covering Kindles, Nooks, iPads, Kobo Devices, and many others. 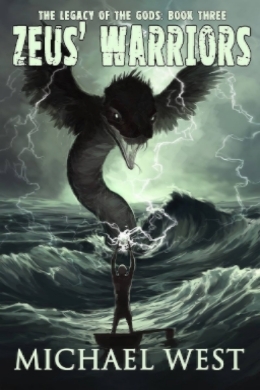 How about Book One in the Legacy of the Gods series, Poseidon’s Children? If you happened to miss the Poseidon’s Children limited edition hardcovers, we still have a few left, but when they are gone, they are gone. For a limited time, add Poseidon’s Children Limited Hardcover to your Hades Disciplesorder for $36.95 with no additional shipping and handling (while supplies lasts)! 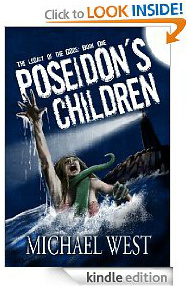 If you take advantage of this special offer, the Poseidon’s Children Hardcover will be shipped with Hades’ Disciples. 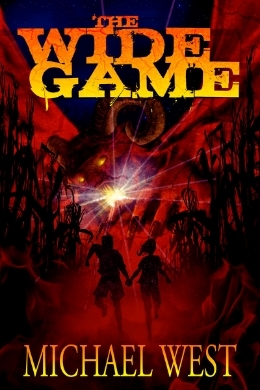 We are also still taking orders for the limited edition hardcover of West’s first Harmony, Indiana novel The Wide Game. Order The Wide Game Limited Edition Hardcover for $36.95 plus shipping and handling (while supplies last)! We will be doing our print runs of hardcover editions of both Hades’ Disciples and The Wide Gamein early June for mid-June shipment. 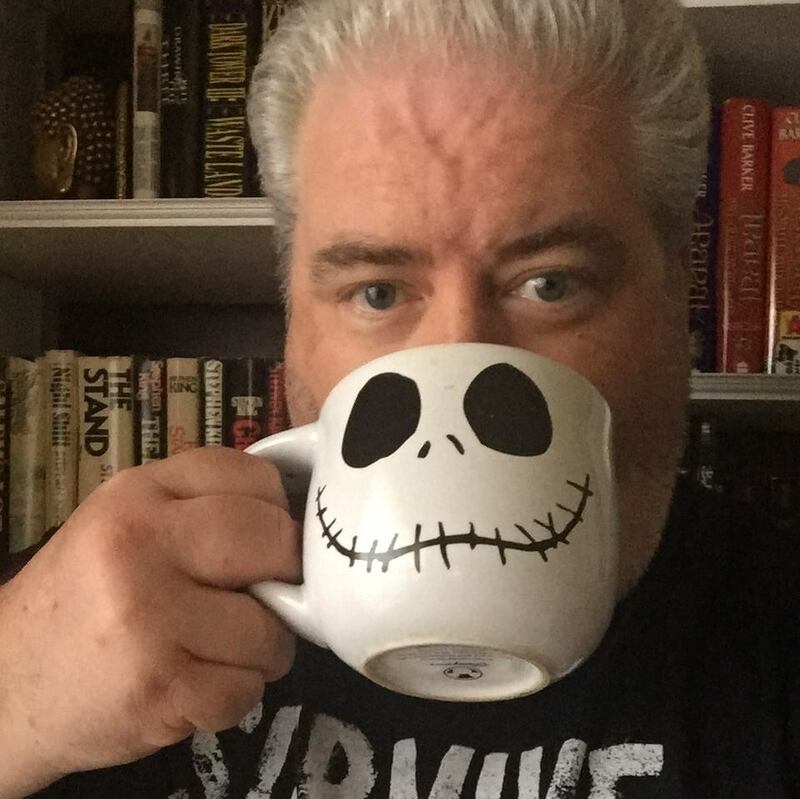 Michael West is the bestselling author of Cinema of Shadows, Skull Full of Kisses, The Wide Game, Spook House, and the critically acclaimed Legacy of the Gods series. He lives and works in the Indianapolis area with his wife, their two children, their turtle, Gamera, and their dog, King Seesar. West avoids manhole covers and sidewalk grates whenever possible. He just doesn’t know what’s down there, and he’s not sure he wants to find out. The Wide Game Limited Edition Hardcover Now Available for Pre-Order! Limited to just 75 copies total, this special edition of The Wide Game features a cloth-bound hardcover with a dust jacket. A special signature page is included, with all copies signed and numbered by Michael West. This book also will include a bonus illustration by the award-winning Matthew Perry not featured in the regular edition. The pre-order window for this edition will be open from now until January 2, 2014. Books will be shipped towards the end of January. 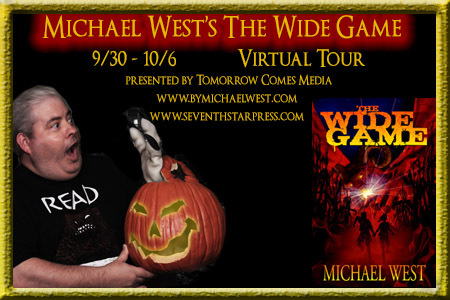 Everyone ordering will also receive an eBook copy of The Wide Game in ePub or Mobi format so that you do not have to wait to read this highly-reviewed tale from Michael West. Even though there are only 75 copies, the price for this release is just $34.95 with $6.50 shipping and handling in the USA, $12.00 to Canada. Click here to reserve a copy or two of this collectible Michael West hardcover today! Reviewer Gets Lost Inside The Covers (And the Cornstalks) of The Wide Game! 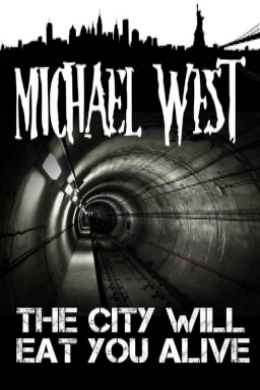 Michael West Is Now On Kobo! New and faithful readers in Canada, Europe, and Australia will be happy to know that they can now find all of my Seventh Star Press titles on Kobo! Kobo is the world’s second largest manufacturer of e-Readers, and I am thrilled that they have added my works to their incredible library of titles. 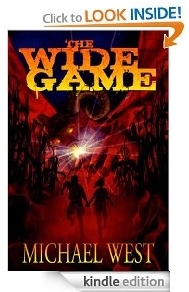 To get your very own copy of The Wide Game on Kobo, click here! 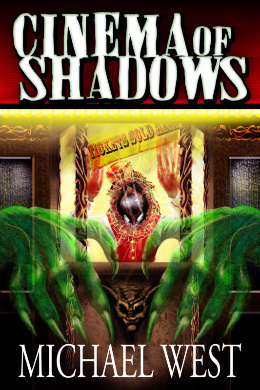 To get your very own copy of Cinema of Shadows on Kobo, click here! 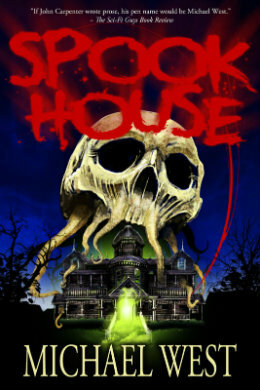 To get your very own copy of Spook House on Kobo, click here! 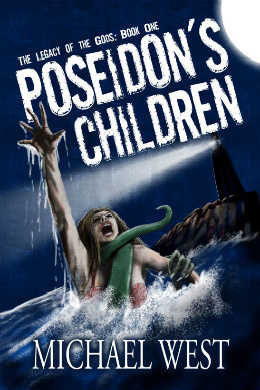 To get your very own copy of Poseidon’s Children on Kobo, click here! 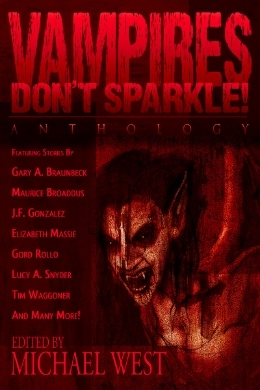 And to get your very own copy of Vampires Don’t Sparkle! on Kobo, and help the fight against cancer, click here! Jurassic London Unearths The Book of the Dead! 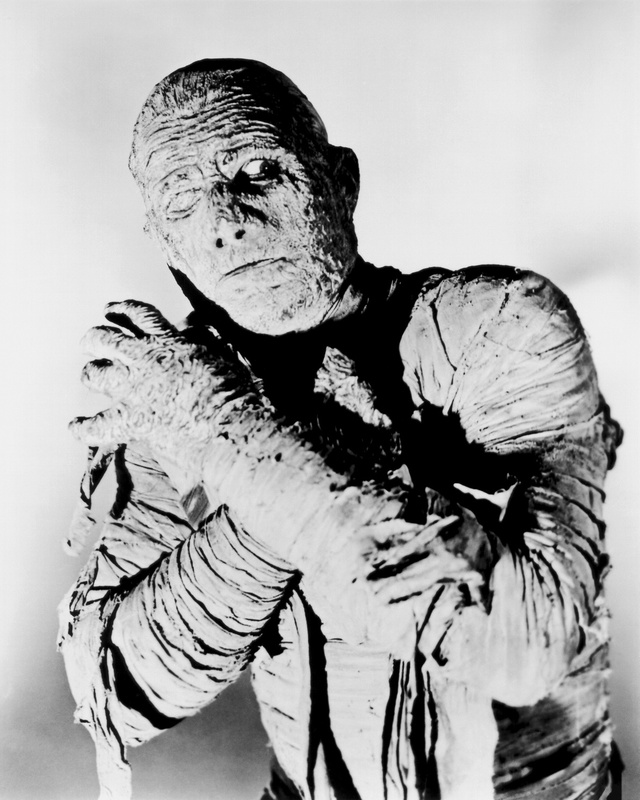 Jurassic London is delighted to announce The Book of the Dead, a collection of new short stories, all themed around the most mysterious, versatile and under-appreciated of the undead: the mummy. The Book of the Dead will be published in collaboration with the Egypt Exploration Society, the UK’s oldest independent funder of archaeological fieldwork and research in Egypt, dedicated to the promotion and understanding of ancient Egyptian history and culture. The Book of the Dead also contains new stories from David Thomas Moore, David Bryher, Molly Tanzer, Sarah Newton, Lou Morgan, Maurice Broaddus, Adam Roberts, Michael West, Den Patrick, Roger Luckhurst, Jenni Hill, Glen Mehn, Jonathan Green, Louis Greenberg and Will Hill. The stories are illustrated by Garen Ewing, the creator of The Adventures of Julius Chancer, the acclaimed ligne claire adventure nominated for two UK National Comic Awards and currently serialized in The Phoenix. The Book of the Dead will be released this October as a limited edition hardcover as well as in paperback and digital formats. You want more? How about an early look at the entire Table of Contents? Read the full official post on Tor.com!